It’s been an emotional and hard couple of weeks here in Northampton. Our little music community lost a major figure with the passing of our friend, Jameson Lavo. Jamie’s band, Trials & Tribulations, represented many of the greatest characteristics of Jamie himself: full of friends -- and therefore love, full of passion, full of sadness. Jamie was in constant pursuit of the saddest song ever written. When Trials played our Bookmill Residency series show in March we caught a rare performance from a band that was always in flux -- breaking up, making up, changing line ups, reassessing, re-recording, nothing ever good enough -- even though everything was always better than any of them could seem to realize. But the constant was always Jamie. We miss him immensely. In tribute to his life, we are making the recording of his Bookmill performance available today. You can download it for free here. There’s also the option to pay what you want for this recording and any money raised will be sent to Jamie’s number one cause: the Occupy movement. The TinyRadars team is thrilled to announce the arrival of Brooklyn's Mail the Horse as the 3rd member of our roster! Nurturing our music scene locally has always been a top priority for TinyRadars, so it may seem antithetical that we’ve decided to release a record from a band based in Brooklyn. We have come to think about geography in a similar way as to how we think about our releases. Every record we put out comes in two formats: vinyl and digital. Vinyl is all about place. As a physical medium it can only exist in one place at a time. 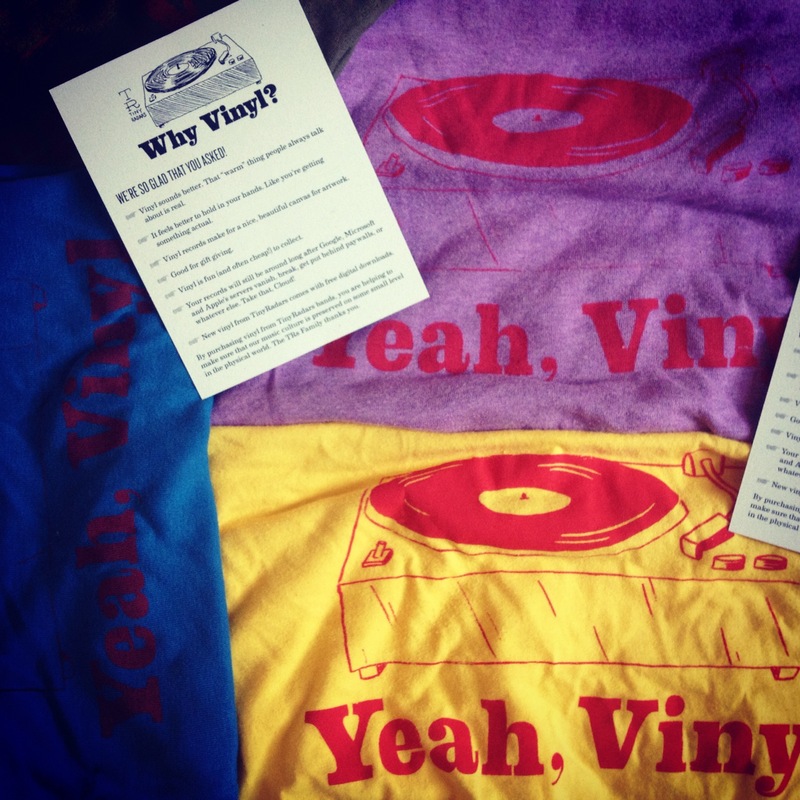 Vinyl is like our music scene at home; our venues and our local artists and our house shows and our fliers and our experiences sharing space together. Digital is all about disregarding the physical limitations of place. It can exist everywhere at the same time; the thread that ties together the shows at King St. Manor to the shows at the Toadstool to shows happening in basements across America. It’s like our language, and our connections and our sense of knowing that even in other places there are people who care about the things we do and want to support the things we support. Digital is family. Vinyl is the home you put it in. Mail the Horse is part of our family. The process of releasing their upcoming record is something of a grand experiment for us. The trust and forgiveness that comes with years of friendship has been a crucial part of making this a reality. We are learning as we go and the Horsies have been willing to let us fumble through the process. When we first met Mail The Horse they were known as AMPM and based out of sea coastal New Hampshire. We became fast friends and were outspoken critics of their decision to relocate the band to New York, shortly thereafter. But the move, name change and line-up tweaking that occurred over that next couple of years has brought a new richness to their music. While their sound has clear folk and country roots in the vein of Bob Dylan and The Band, there is also a rougher, modern, edge heard in the strained vocals of Michael Hesslein and balanced by the sometimes sloppy drawl of Donny Amidon's songs. What has always been most striking to us about them is an indescribable timeless quality to their songwriting; that thing that exists in the work of all the greats that is just so hard to put a finger on. The songs that have been coming out of Gates Motel (the Brooklyn apt. where they write and record) are heartbreaking narratives of loss and acceptance, musical interpretations of dimly lit photos of New York City landscapes, the kind only an outsider could take. 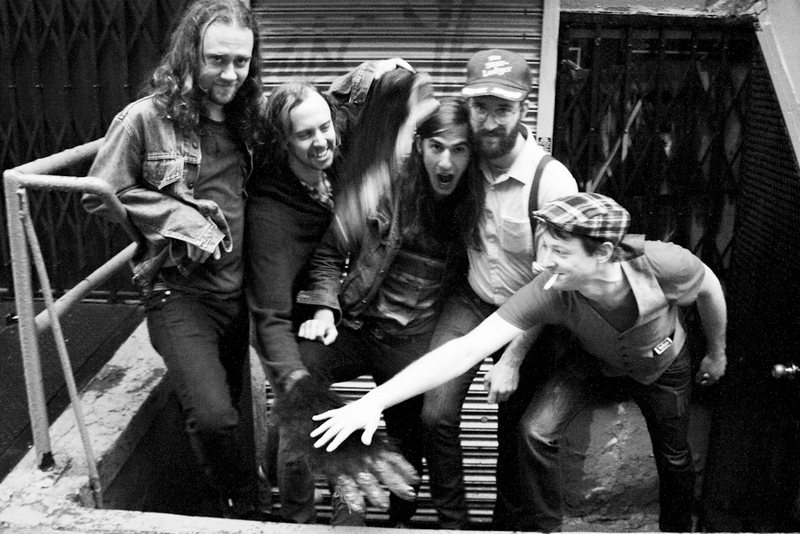 Mail the Horse’s new LP, Great Kills, will be out this summer. If you’re in the area you can catch them at the Thing in The Spring this weekend. 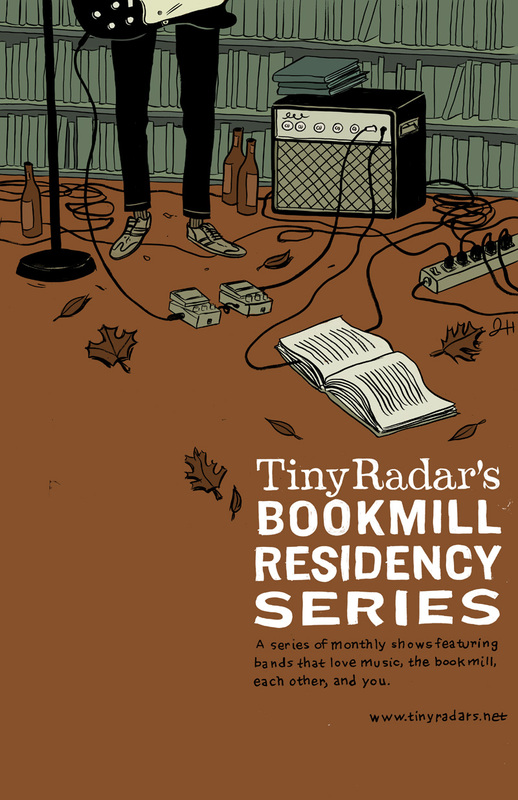 This coming Saturday, March 24, marks the 4th installment of our residency series at the Bookmill in Montague, MA. We will be debuting some new merch at the show and are excited to feature three excellent acts from the greater Pioneer Valley/NH area: megafauna, 23 Quartet and Trials & Tribulations. More details on the bands below and Facebook event here. 23 Quartet is a free jazz explosion featuring drums, guitar, saxophone and piano. Every show, every time is different and phenomenal. This is the first time they've performed with their piano player and we couldn't be more excited to have them. Featuring Andy Kivela (Graph) on drums. One of TinyRadars favorite things about labels are how they are a window into this little interconnected world of people you don't know and may never meet. We've all spent a fair share of time reading the liner notes of our favorite records in detail to see who played on them, what bands they may have thanked, where there were overlapping members, and what kind of fun stuff they might send you if you joined the fan clubs (the award probably goes to the Unrest mail order comb). The liner notes were just as important as the music itself. They gave the record a sense of place. They position it somewhere in time and draw connections. And compilations especially tell stories. Sure, the music is the reason we get up in the morning. But TRs was founded so that we could document, capture and preserve a small snapshot of what is happening. 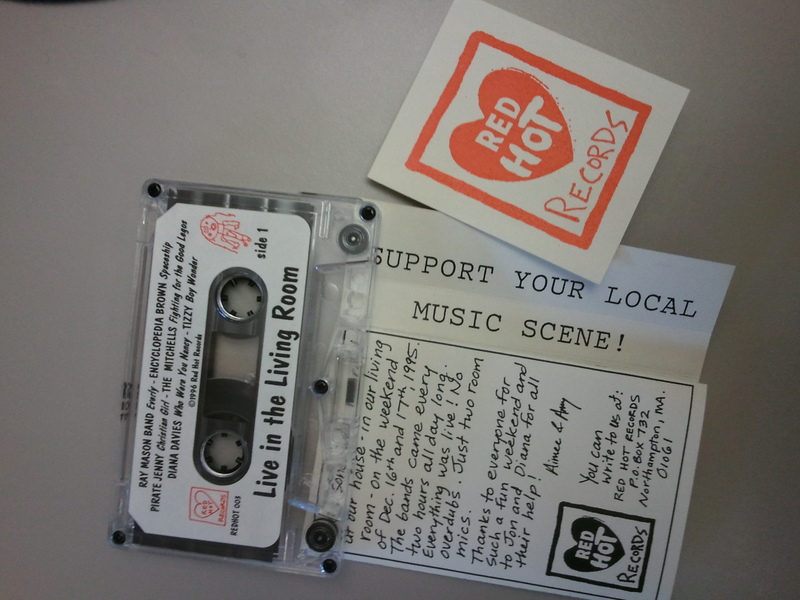 So imagine my excitement when local musician and writer Ken Mauri handed me a copy of this Red Hot Records compilation at a show last week. My tape deck, despite this format increasing in hipness these days, is buried underneath my discarded VCR and DVD player (hi Xbox! You do everything!) so I haven't had a chance to listen to the tape yet. But there's a lot to learn from the liner notes alone. Live in the Living Room was the kind of project that gets right to the heart of what TRs is all about. Recorded over the course of one weekend, Amy and Aimee of Red Hot Records set up a four-track in their living room and had 12 bands drop by to play a few songs. The resulting recordings became the compilation and its so cool to be able to check out this snapshot of what was happening in Northampton 15 years ago. Some of these bands are still around, other bands lasted for another 10+ years before calling it quits, and some I'm sure fell apart soon after the tape came out (because that's how these things work). But what Red Hot Records did was make sure that no matter what, this moment was captured. I don't know how long Red Hot Records was around for, but I'm grateful that someone still cares enough to have left the website up. By connecting the dots between the liner notes, the website, and Google searches the story of what was happening around here in 1995 is becoming more clear. For a baby label like us that loves its local music scene, its really exciting to see that RHRs third release was a compilation...just like ours is planned to be. Northampton 2012 will have a story to tell, too. And with indie and DIY labels still cranking out releases in new ways, we hope that local music scenes everywhere will capture what's going on, too. As for us, we'll be singing the vinyl/download combo gospel of course. First show is Dec 3rd from 7:30 to 11pm featuring Animal Mother (Asher from Bella's Bartok), acousticish Bunny's A Swine and True Jacqueline. This is a certainly belated post, but we've been so so so busy! TR-02 (Bunny's A Swine's new full-length LP) is officially out in the world and we would love it if you bought one. The band put a lot of thought into the packaging and here's the full details on what you get if you purchase the record itself. “All Day, Alright” is 10 original musical compositions from the rock group Bunny's A Swine printed to 12” vinyl records at a speed of 33 revolutions per minute. 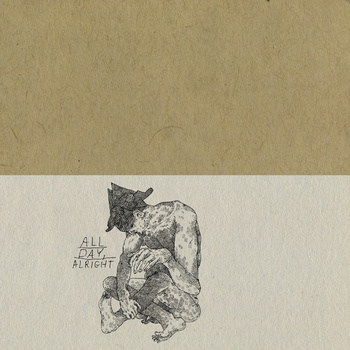 Each record is 1 of 250 copies and comes with 10 black and white reproductions of original artwork from 10 different artists (each piece includes song lyrics to 1 of the 10 original songs); there's also 1 card with an unique string of numbers, which when entered into a computer will re-create “All Day, Alright” in a digital format. Album, art and numbers come wrapped in recycled LP jackets (graciously donated by Bunny's a Swine's favorite record stores), which have been inverted and adorned with a vintage-letterpress reproduction of original artwork by Justin Durand. The aforementioned songs are a country-tinged-awk-pop meditation on the causes and effects of depression, meant to be consumed and enjoyed immediately. Only 250 pressed. Get them while you can! It's here! The wait is over! The red curtain has been pulled back or the carpet has been rolled out or oh whatever else. You can order the very first TinyRadar's release from Graph via their Bandcamp page. The B-Side, Wolves, is my favorite. And bonus! The download also comes with a 28 minute unheard unreleased three-part instrumental song. Buy more vinyl. Support local music. Buy Graph's Eau Claire/Wolves 7". How Do You Make $$ From Music? We're not exactly experts in this area (oh to be a newly launched venture! 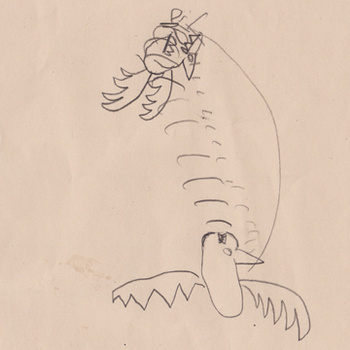 ), but we hope that someday there will be money for artists and the systems that support them. However an important step to getting there is understanding how the heck anyone manages to make any $$ these days in the first place. Future of Music Coalition has been talking for over a decade about the music industry, the policies that impact it and the ways for artists to move forward and do things like have health care even if they don't have one of those standard old 9-5ers. They've launched a survey in order to gather information about how musicians make money from music as part of their Artist Revenue Streams project. Artist Revenue Streams (ARS) represents the first time a US-based organization has conducted a research project that examines musicians’ revenue streams across all genres and roles. The results could provide musicians, the media and the music community at large with a comprehensive analysis of how musicians are being compensated in the digital age. The project engages with a wide range of musicians, including jazz artists, Nashville songwriters, session musicians, touring rock artists, hip hop emcees, classical composers, and artists experimenting with direct-to-fan strategies through three research strategies: in-person interviews; financial case studies; and a wide-ranging online survey. Listen to Jean Cook from FMC talk about the survey on WNYC. Test presses, lacquers oh my!